Oh well, here goes. I’ve been wanting to do this for many years, for my own reference. This will take some time to build up, and is obviously a never-ending task. But I’ll do it bit-by-bit and, hopefully, within a few months we’ll start to have a reference point to identify manufacturers’ chainwheels. I’ll start by cross-referencing this website and then add some of the more distinctive ones, alphabetically. 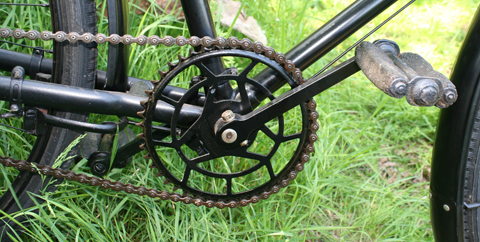 Chainrings up to 1899 had no more than 20 teeth and straight arms. 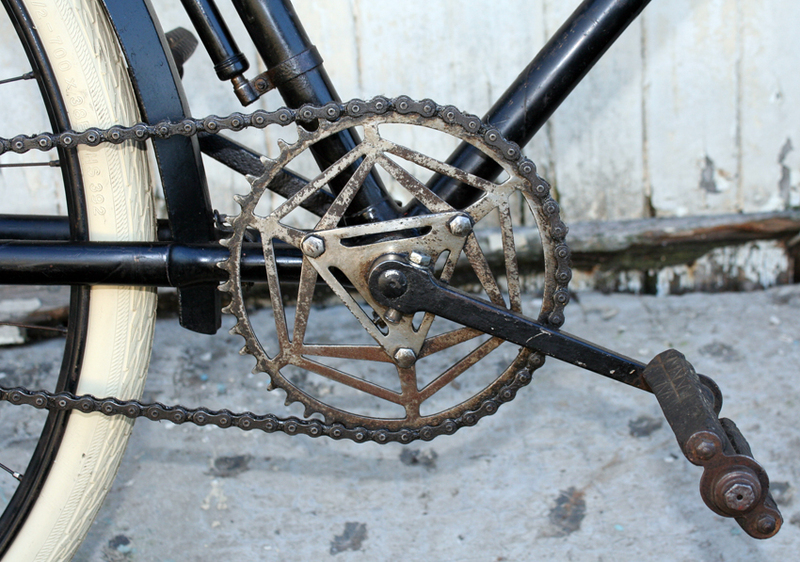 From 1899 to 1903 the chainring was detachable and had `Y` arms. 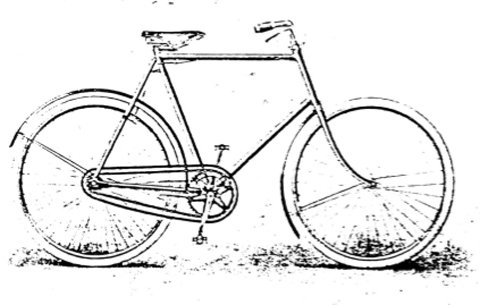 From 1904 to 1907 the arms took the form of an `X`(as on this bicycle). 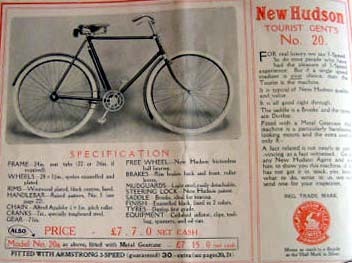 From 1908 the letters BSA were included.